This month, PRINTEK, a famous provider of mobile thermal and business transaction document print solutions, has represented 4 new printers in the line-up of serial impact dot matrix printers. The FormsPro 5000, FormsPro 5002, PrintMaster 700 and PrintMaster 702 are geared towards the industrial and commercial market space and provide the highest quality multi-part forms printing and superior paper handling. The FormsPro 5000 series printers are ideal for use in heavy workload applications, offering single and dual tractor models. They feature high print speed and advanced connectivity options including standard parallel and ethernet connectivity. The machines are designed for easy forms loading and handling due to a straight through paper path and for continuous paper feed with tear off and park positions. 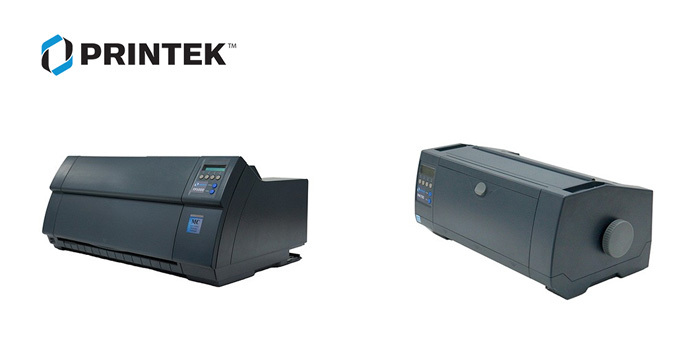 The PrintMaster 700 series printers are capable of handling workloads up to 20,000 ppm. These gadgets are exceptionally priced instead of the features found on more expensive models. They come with a 24-pin print head providing a rated lifetime of 500 million characters as well as an intuitive control panel, standard parallel, ethernet, and usb interfaces and many built-in emulations. This entry was posted on Tuesday, August 30th, 2016 at 8:57 am	and is filed under matrix, printer. "Lockheed Martin’s Patent Application for a 3D Printer Producing Diamonds"